Do you believe in Magic (Quadrants)? If you follow Data Quality on Twitter like I do, then you are probably already well aware that the 2010 Gartner Magic Quadrant for Data Quality Tools was released this week (surprisingly, it did not qualify as a Twitter trending topic). The five vendors that were selected as the “data quality market leaders” were SAS DataFlux, IBM, Informatica, SAP Business Objects, and Trillium. 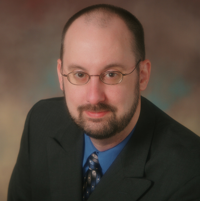 Disclosure: I am a former IBM employee, former IBM Information Champion, and I blog for the Data Roundtable, which is sponsored by SAS. Please let me stress that I have the highest respect for both Ted Friedman and Andy Bitterer, as well as their in depth knowledge of the data quality industry and their insightful analysis of the market for data quality tools. I would like to debate how much of an impact market research really has on a prospect’s decision to purchase a data quality tool. Let’s agree to keep this to a very informal debate about how research can affect both the perception and the reality of the market. Therefore—for the love of all high quality data everywhere—please, oh please, data quality vendors, do NOT send me your quarterly sales figures, or have your PR firm mercilessly spam either my comments section or my e-mail inbox with all the marketing collateral “proving” how Supercalifragilisticexpialidocious your data quality tool is—I said please, so play nice. In a previous post, I used the term OOBE-DQ to refer to the out-of-box-experience (OOBE) provided by data quality (DQ) tools, which usually becomes a debate between “ease of use” and “powerful functionality” after you ignore the Magic Beans sales pitch that guarantees you the data quality tool is both remarkably easy to use and incredibly powerful. However, the data quality market continues to evolve away from esoteric technical tools and toward business-empowering suites providing robust functionality with easier to use and role-based interfaces that are tailored to the specific needs of different users, such as business analysts, data stewards, application developers, and system administrators. The major players are still the large vendors who have innovated (mostly via acquisition and consolidation) enterprise application development platforms with integrated (to varying degrees) components, which provide not only data quality functionality, but also data integration and master data management (MDM) as well. Many of these vendors also offer service-oriented deployments delivering the same functionality within more loosely coupled technical architectures, which includes leveraging real-time services to prevent (or at least greatly minimize) poor data quality at the multiple points of origin within the data ecosystem. Many vendors are also beginning to provide better built-in reporting and data visualization capabilities, which is helping to make the correlation between poor data quality and suboptimal business processes more tangible, especially for executive management. It must be noted that many vendors (including the “market leaders”) continue to struggle with their International OOBE-DQ. Many (if not most) data quality tools are strongest in their native country or their native language, but their OOBE-DQ declines significantly when they travel abroad. Especially outside of the United States, smaller vendors with local linguistic and cultural expertise built into their data quality tools have continued to remain fiercely competitive with the larger vendors. Market research certainly has a role to play in making a purchasing decision, and perhaps most notably as an aid in comparing and contrasting features and benefits, which of course, always have to be evaluated against your specific requirements, including both your current and future needs. Now let’s shift our focus to examining some of the inherent challenges of evaluating market research, perception, and reality. First of all, I realize that this debate will suffer from a considerable—and completely understandable—confirmation bias. If you are a customer, employee, or consultant for one of the “High Five” (not an “official” Gartner Magic Quadrant term for the Leaders), then obviously you have a vested interest in getting inebriated on your own Kool-Aid (as noted in my disclosure above, I used to get drunk on the yummy Big Blue Kool-Aid). Now, this doesn’t mean that you are a “yes man” (or a “yes woman”). It simply means it is logical for you to claim that market research, market perception, and market reality are in perfect alignment. Likewise, if you are a customer, employee, or consultant for one of the “It Isn’t Easy Being Niche-y” (rather surprisingly, not an “official” Gartner Magic Quadrant term for the Niche Players), then obviously you have a somewhat vested interest in claiming that market research is from Mars, market perception is from Venus, and market reality is really no better than reality television. My only point is that your opinion of market research will obviously be influenced by what it says about your data quality tool. “Well, of course, we say our data quality tool is awesome. However, the Gartner Magic Quadrant also says our data quality tool is awesome. Okay, so technically, that’s not even a syllogism—but who said any form of logical argument is ever used during a sales cycle? On a more serious note, and to stop having too much fun at Gartner’s expense, they do advise against simply selecting vendors in their “Leaders quadrant” and instead always advise to select the vendor that is the better match for your specific requirements. The problem with this approach—and not just for data quality tools—is that there are far more similarities than differences to be found when comparing features and benefits. Practically every single data quality tool on the market today will include functionality for data profiling, data quality assessment, data standardization, data matching, data consolidation, data integration, data enrichment, and data quality monitoring. Therefore, running down a checklist of features is like playing a game of Buzzword Bingo, or constantly playing Musical Chairs, but without removing any of the chairs in between rounds—in others words, the Features Game almost always ends in a tie. After both vendors have returned from their “timeout,” a slightly more mature approach is to run a vendor “bake-off” where the dueling data quality tools participate in a head-to-head competition processing a copy of the same data provided by the prospect. However, a bake-off often produces misleading results because the vendors—and not the prospect—perform the competition, making it mostly about vendor expertise, not OOBE-DQ. Also, the data used rarely exemplifies the prospect’s data challenges. If competitive differentiation based on features and benefits is a game that nobody wins, then what is the alternative? The illustration shows what Simon Sinek calls The Golden Circle. WHY is your purpose—your driving motivation for action. HOW is your principles—specific actions that are taken to realize your Why. WHAT is your results—tangible ways in which you bring your Why to life. It’s a circle when viewed from above, but in reality it forms a megaphone for broadcasting your message to the marketplace. When you rely only on the approach of attempting to differentiate your data quality tool by discussing its features and benefits, you are focusing on only your WHAT, and absent your WHY and HOW, you sound just like everyone else to the marketplace. When, as is often the case, nobody wins the Features and Benefits Game, a data quality tool sounds more like a commodity, which will focus the marketplace’s attention on aspects such as your price—and not on aspects such as your value. Due to the considerable length of this blog post, I have been forced to greatly oversimplify the message of this book, which a future blog post will discuss in more detail. I highly recommend the book (and no, I am not an affiliate). If there truly was one data quality tool on the market today that, without question, had the very best features and benefits, then why wouldn’t everyone simply buy that one? Of course your data quality tool has solid features and benefits—just like every other data quality tool does. I believe that the hardest thing for our industry to accept is—the best technology hardly ever wins the sale. As most of the best salespeople will tell you, what wins the sale is when a relationship is formed between vendor and customer, a strategic partnership built upon a solid foundation of rapport, respect, and trust. And that has more to do with WHY you would make a great partner—and less to do with WHAT your data quality tool does. How much of an impact do you think market research has on the purchasing decision of a data quality tool? How much do you think research affects both the perception and the reality of the data quality tool market? How much do you think the features and benefits of a data quality tool affect the purchasing decision? All perspectives on this debate are welcome without bias. Therefore, please post a comment below. Comments advertising your products and services (or bashing competitors) will not be approved. Enterprise Data World 2010 was held March 14-18 in San Francisco, California at the Hilton San Francisco Union Square. Congratulations and thanks to Tony Shaw, Maya Stosskopf, the entire Wilshire Conferences staff, as well as Cathy Nolan and everyone with DAMA International, for their outstanding efforts on delivering yet another wonderful conference experience. I wish I could have attended every session on the agenda, but this blog post provides some quotes from a few of my favorites. Conference session by Marty Moseley, CTO of Initiate Systems, an IBM company. Conference session by Thomas Ravn, MDM Practice Director at Platon. Conference session by Tony Fisher, CEO of DataFlux, and Dr. Walid el Abed, CEO of Global Data Excellence. Conference session by April Reeve, Consultant at EMC Consulting. Closing Keynote Address by Graeme Simsion, Principal at Simsion & Associates. I presented this session about the art of effectively using social media in business. An effective social media strategy is essential for organizations as well as individual professionals. Using social media effectively can definitely help promote you, your expertise, your company, and its products and services. However, too many businesses and professionals have a selfish social media strategy. You should not use social media to exclusively promote only yourself or your business. You need to view social media as Social Karma. The term “live-tweeting” describes using Twitter to provide near real-time reporting from an event. When a conference schedule has multiple simultaneous sessions, Twitter is great for sharing insights from the sessions you are in with other conference attendees at other sessions, as well as with the on-line community not attending the conference. Enterprise Data World 2011 will take place in Chicago, Illinois at the Chicago Sheraton and Towers on April 3-7, 2011. Founded in 1995, TDWI (The Data Warehousing Institute™) is the premier educational institute for business intelligence and data warehousing that provides education, training, certification, news, and research for executives and information technology professionals worldwide. TDWI conferences always offer a variety of full-day and half-day courses taught in an objective, vendor-neutral manner. The courses taught are designed for professionals and taught by in-the-trenches practitioners who are well known in the industry. TDWI World Conference Chicago 2009 was held May 3-8 in Chicago, Illinois at the Hyatt Regency Hotel and was a tremendous success. I attended as a Data Quality Journalist for the International Association for Information and Data Quality (IAIDQ). Jill Dyché, CBIP, is a partner and co-founder of Baseline Consulting, a management and technology consulting firm that provides data integration and business analytics services. Jill is responsible for delivering industry and client advisory services, is a frequent lecturer and writer on the business value of IT, and writes the excellent Inside the Biz blog. She is the author of acclaimed books on the business value of information: e-Data: Turning Data Into Information With Data Warehousing and The CRM Handbook: A Business Guide to Customer Relationship Management. Her latest book, written with Evan Levy, is Customer Data Integration: Reaching a Single Version of the Truth. What is the business need, pain, or problem? What business questions do we need to answer? What data is necessary to answer those business questions? How do we need to use the resulting information to answer those business questions? Philip Russom is the Senior Manager of Research and Services at TDWI, where he oversees many of TDWI’s research-oriented publications, services, and events. Prior to joining TDWI in 2005, he was an industry analyst covering BI at Forrester Research, as well as a contributing editor with Intelligent Enterprise and Information Management (formerly DM Review) magazines. Becky Briggs, CBIP, CMQ/OE, is a Senior Manager and Data Steward for Airlines Reporting Corporation (ARC) and has 25 years of experience in data processing and IT - the last 9 in data warehousing and BI. She leads the program team responsible for product, project, and quality management, business line performance management, and data governance/stewardship. Barbara Shelby is a Senior Software Engineer for IBM with over 25 years of experience holding positions of technical specialist, consultant, and line management. Her global management and leadership positions encompassed network authentication, authorization application development, corporate business systems data architecture, and database development. Lee Doss is a Senior IT Architect for IBM with over 25 years of information technology experience. He has a patent for process of aligning strategic capability for business transformation and he has held various positions including strategy, design, development, and customer support for IBM networking software products. Kevin Kramer is a Senior Vice President and Director of Enterprise Sales for UMB Bank and is responsible for development of sales strategy, sales tool development, and implementation of enterprise-wide sales initiatives. Kanon Cozad is a Senior Vice President and Director of Application Development for UMB Bank and is responsible for overall technical architecture strategy and oversees information integration activities. Jill Dyché, CBIP, is a partner and co-founder of Baseline Consulting, a management and technology consulting firm that provides data integration and business analytics services. (For Jill's complete bio, please see above). Arkady Maydanchik is a co-founder of Data Quality Group, a recognized practitioner, author, and educator in the field of data quality and information integration. Arkady's data quality methodology and breakthrough ARKISTRA technology were used to provide services to numerous organizations. Arkady is the author of the excellent book Data Quality Assessment, a frequent speaker at various conferences and seminars, and a contributor to many journals and online publications. Data quality curriculum by Arkady Maydanchik can be found at eLearningCurve. Gian Di Loreto formed Loreto Services and Technologies in 2004 from the client services division of Arkidata Corporation. Loreto Services provides data cleansing and integration consulting services to Fortune 500 companies. Gian is a classically trained scientist - he received his PhD in elementary particle physics from Michigan State University. TDWI World Conference San Diego 2009 - August 2-7, 2009. TDWI World Conference Orlando 2009 - November 1-6, 2009. TDWI World Conference Las Vegas 2010 - February 21-26, 2010. Formerly known as the DAMA International Symposium and Wilshire MetaData Conference, Enterprise Data World 2009 was held April 5-9 in Tampa, Florida at the Tampa Convention Center. Enterprise Data World is the business world’s most comprehensive vendor-neutral educational event about data and information management. This year’s program was bigger than ever before, with more sessions, more case studies, and more can’t-miss content. With 200 hours of in-depth tutorials, hands-on workshops, practical sessions and insightful keynotes, the conference was a tremendous success. Congratulations and thanks to Tony Shaw, Maya Stosskopf and the entire Wilshire staff. I attended Enterprise Data World 2009 as a member of the Iowa Chapter of DAMA and as a Data Quality Journalist for the International Association for Information and Data Quality (IAIDQ). I used Twitter to provide live reporting from the sessions that I was attending. Keynote by Stephen Baker from BusinessWeek. His article Math Will Rock Your World inspired his excellent book The Numerati. Additionally, check out his blog: Blogspotting. "Data is changing how we understand ourselves and how we understand our world"
"Predictive data mining is about the mathematical modeling of humanity"
"Anthropologists are looking at social networking (e.g. Twitter, Facebook) to understand the science of friendship"
Tutorial by David Loshin from Knowledge Integrity. Included material from his excellent book Master Data Management. Additionally, check out his blog: David Loshin. "Master Data are the core business objects used in the different applications across the organization, along with their associated metadata, attributes, definitions, roles, connections and taxonomies"
"Master Data Management (MDM) provides a unified view of core data subject areas (e.g. Customers, Products)"
"With MDM, it is important not to over-invest and under-implement - invest in and implement only what you need"
Case Study by Tony Fisher from DataFlux and Jeff Grayson from Equinox Fitness. "The most important thing about Master Data Management (MDM) is improving business processes"
"80% of any enterprise implementation should be the testing phase"
"MDM Data Quality (DQ) Challenge: Any % wrong means you’re 100% certain you’re not always right"
"MDM DQ Solution: Re-design applications to ensure the ‘front-door’ protects data quality"
"Technology is critical, however thinking through the operational processes is more important"
Case Study by Susan Burk from IBM. "Use Case is a sequence of actions performed to yield a result of observable business value"
"The primary focus of data-centric projects is data structure, data delivery and data quality"
"Don’t like use cases? – ok, call them business acceptance criteria – because that’s what a use case is"
Session by Sharon Chiarella from Amazon Web Services. "Crowdsourcing is outsourcing a task typically performed by employees to a general community of people"
"Crowdsourcing eliminates over-staffing, lowers costs and reduces work turnaround time"
"An excellent example of crowdsourcing is open source software development (e.g. Linux)"
Session by Atul Borkar and Guillermo Rueda from Intel. "Information Quality requires a structured methodology in order to be successful"
Session by Stefanos Damianakis from Netrics. "The information stored in databases is NEVER perfect, consistent and complete – and it never can be!" "Gartner reports that 25% of critical data within large businesses is somehow inaccurate or incomplete"
"Gartner reports that 50% of implementations fail due to lack of attention to data quality issues"
"A powerful approach to data matching is the mathematical modeling of human decision making"
"The greatest advantage of mathematical modeling is that there are no data matching rules to build and maintain"
Seminar by C. Lwanga Yonke, a founding member of the International Association for Information and Data Quality (IAIDQ). "Entering the same data multiple times is like paying the same invoice multiple times"
"Good metrics help start conversations and turn strategy into action"
Closing Panel: Data Management’s Next Big Thing! "Most companies are at a capability maturity level of (1) Initial or (2) Repeatable"
"Data should be treated as a durable asset"
"A new age for data and data management is on horizon – a perfect storm is coming"
"The perfect storm is being caused by massive data growth and software as a service (i.e. cloud computing)"
"Always remember that you can make lemonade from lemons – the bad in life can be turned into something good"
"If you keep using the same recipe, then you keep getting the same results"
"Our biggest problem is not technical in nature - we simply need to share our knowledge"
"Don’t be a dinosaur! Adopt a ‘go with what is’ philosophy and embrace the future!" "Applications should not be ON The Web, but OF The Web"
"New Acronym: LED – Linked Enterprise Data"
"Semantic Web is the HTML of DATA"
"Unified Modeling Language (UML) was the last big thing in software engineering"
"The next big thing will be ArchiMate, which is a unified language for enterprise architecture modeling"
Enterprise Data World 2010 will take place in San Francisco, California at the Hilton San Francisco on March 14-18, 2010.